← 30. 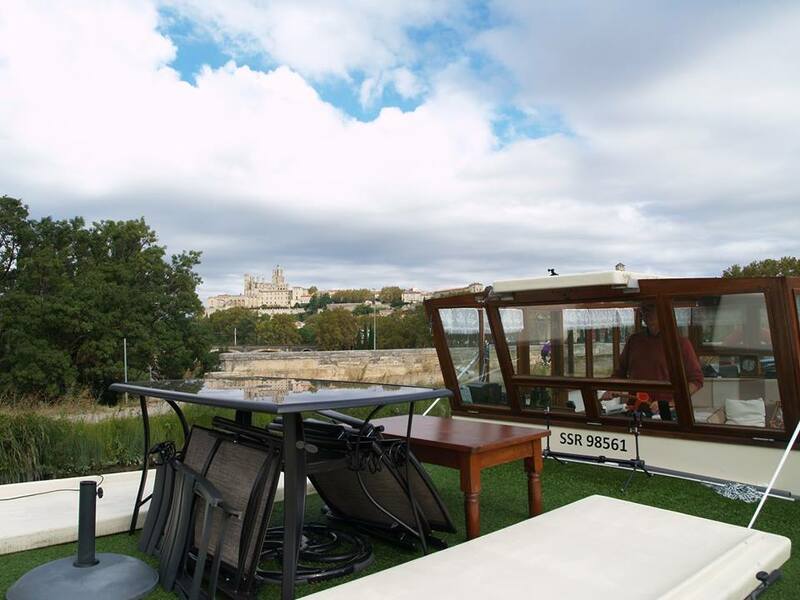 Comings and goings on the Midi. 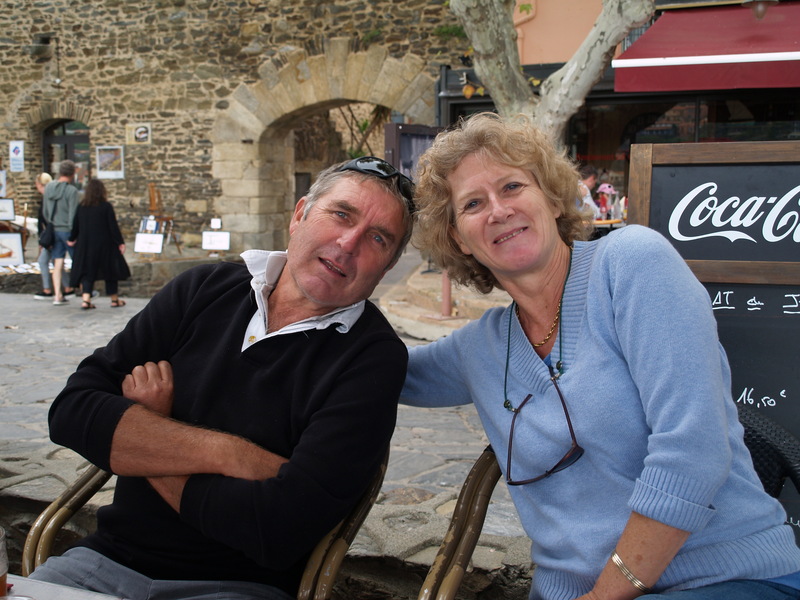 With just under a month left until we had to be in our winter port at Castelnaudary, we were still bumbling along and enjoying socialising with our boating friends. Just after moving ‘Whisper’ up to the quay at Villeneuve les Bezier, Sue and Allan turned up with a bag of beers and wine and we were soon enjoying aperos up on deck, joined shortly after by Stuart and Christine (‘Vagabond’) A couple of impromptu boules games were enjoyed too on an ad hoc terrain…the towpath. The bumper boats were still busy all along the canal, taking advantage of the continuing fine weather, but Autumn was definitely in the air at each end of the day. On the night of 6th October a fierce thunderstorm struck and it was the first rain we had seen for a while. 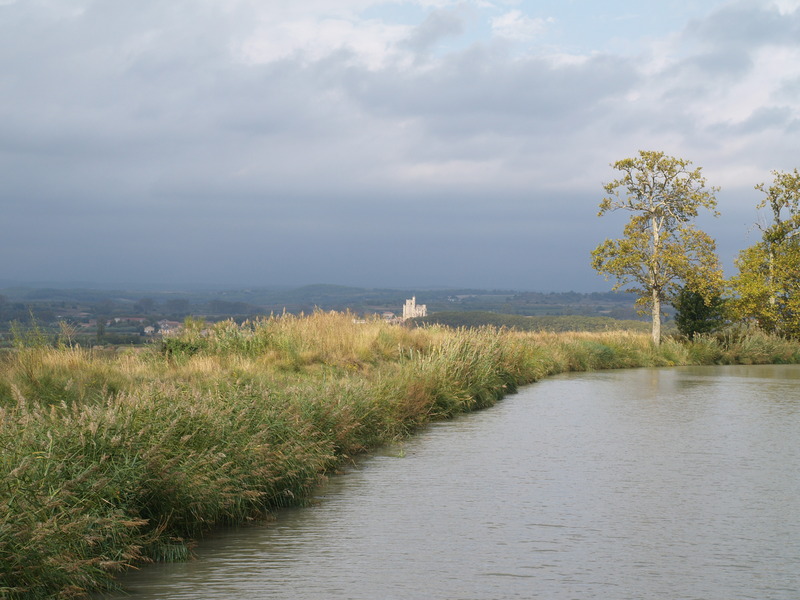 Despite the inclement weather we decided to move on and cruised through Bezier to the flight of seven locks at Fonserannes. We didn’t expect to make the morning ascent and were surprised when the light went green. Crossing the aqueduct at Beziers. The two roof side panels off to make the bridges a little easier. Fortunately, despite not really being ready to go up, we managed it without too much trouble, providing a spectacle for the various tourists who lined the sides of the locks. The first lock, trying to remember how we did it before! Not for the faint hearted and too deep for Nicci to remain on board. The lock keepers do not take the ropes. After a short discussion at the top, we decided to carry on to the entrance to the Malpas Tunnel where we knew there was a suitable mooring. As expected, Poilhes was full. 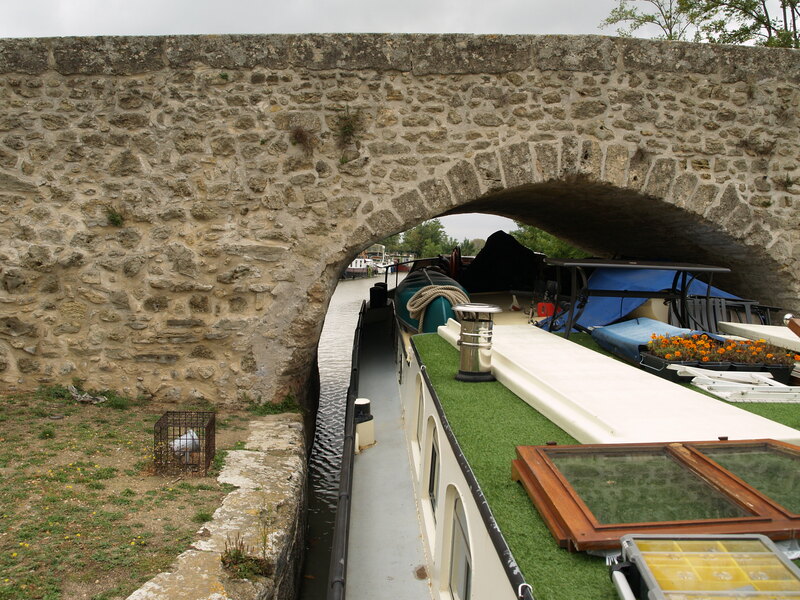 Having removed two roof panels from the wheelhouse, we cleared the low bridge at Colombiers fairly easily and carried on to the Malpas Tunnel. Surprise surprise…the only spot had now been designated for passenger boats only. 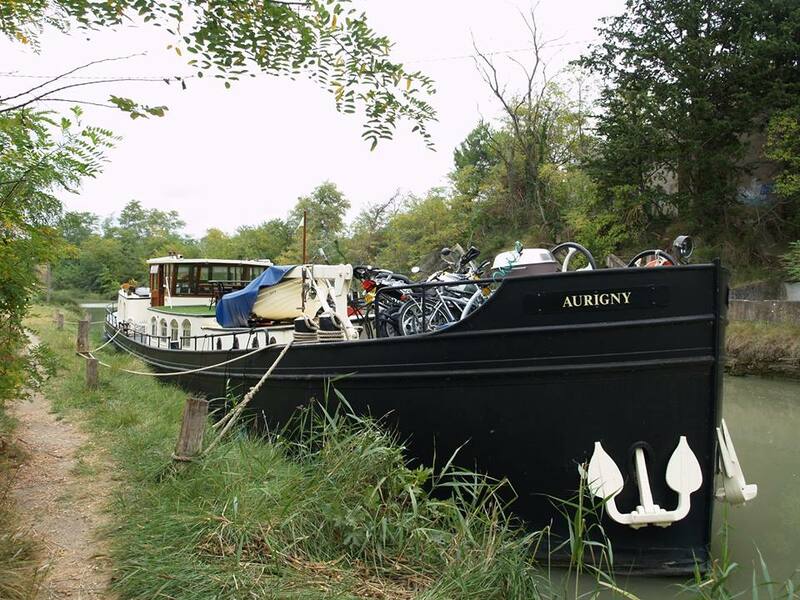 This was becoming annoying- mooring spots with bollards for long term moorers and passenger boats but very little else! After ignoring the sign and mooring up, I walked up to the top of the tunnel and back through it, taking in the great view of the drained Montady lake. 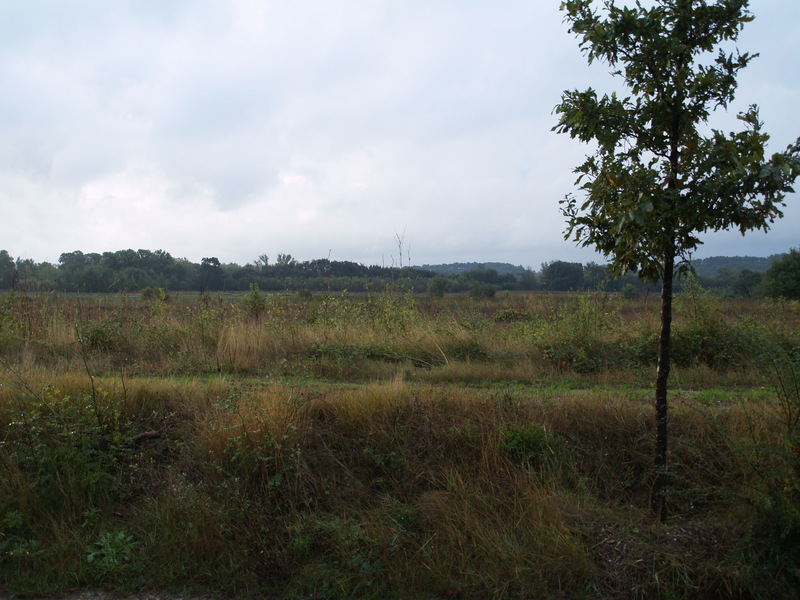 Once a huge, marshy, midge ridden lake. The weather forecast was poor, but fortune favours the brave and the next day we fully dismantled the wheelhouse for the first time in eight years. Those three roof sections don’t get any lighter! All down, hoping it doesn’t rain. The dark clouds threaten on a blustery day as we near Capestang. 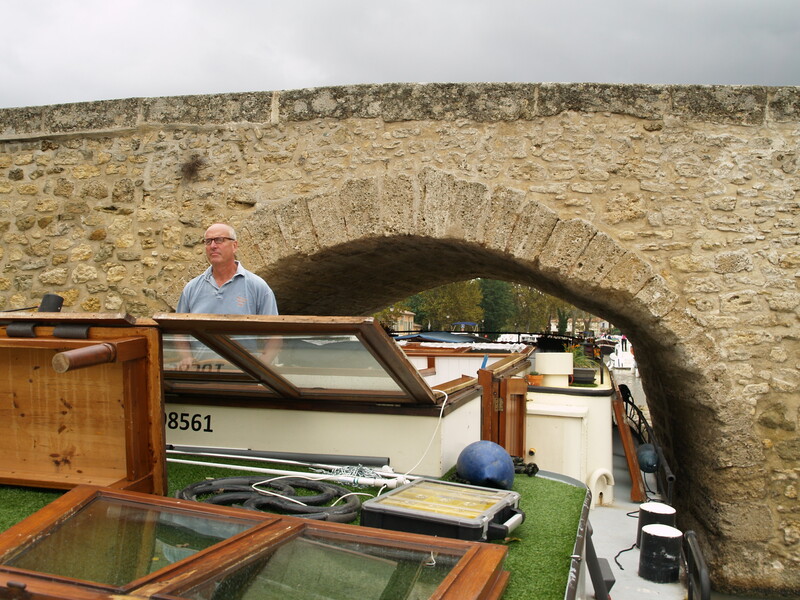 Despite the thunderclouds rolling over our heads, the rain held off until we had made it under the low Roman bridge at Capestang. We moored a few hundred metres beyond it in another passenger boat mooring. Fortunately, being late in the season, we were able to stay there for a couple of days which enabled us to leap frog the cars with Sue and Allan. With a few bystanders watching, we glide slowly through without resorting to the bowthruster. Not even a touch ! We also met up with Pol and Neil(‘MicMac’) and Geoff (‘Mededinger’) in the port’s restaurant which was still open. On 11th October, we headed off a few minutes after ‘Anjodi’ and were soon being tail-gated by impatient bumper boats. 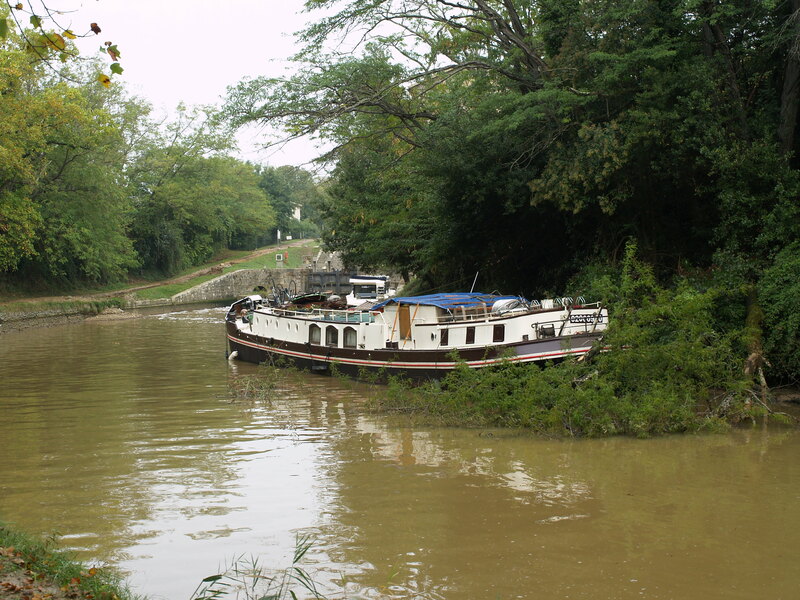 The canal is shallow in places and dredging is taking place. We have to stay in the middle as the edges are too shallow. 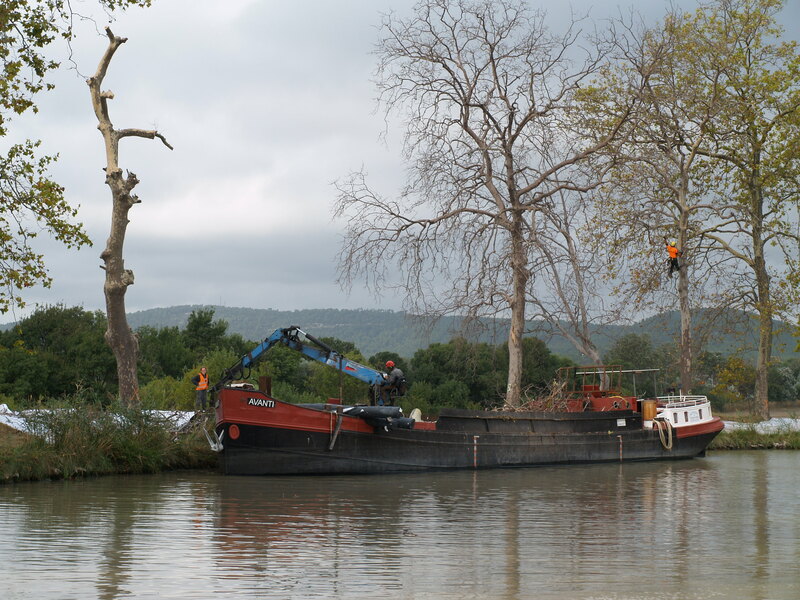 The programme for removal of Plane trees is also in operation, as is the replanting with various species. Anjodi ahead of us and the smoke from burning tree roots. Dead trees being felled and the roots hauled out. 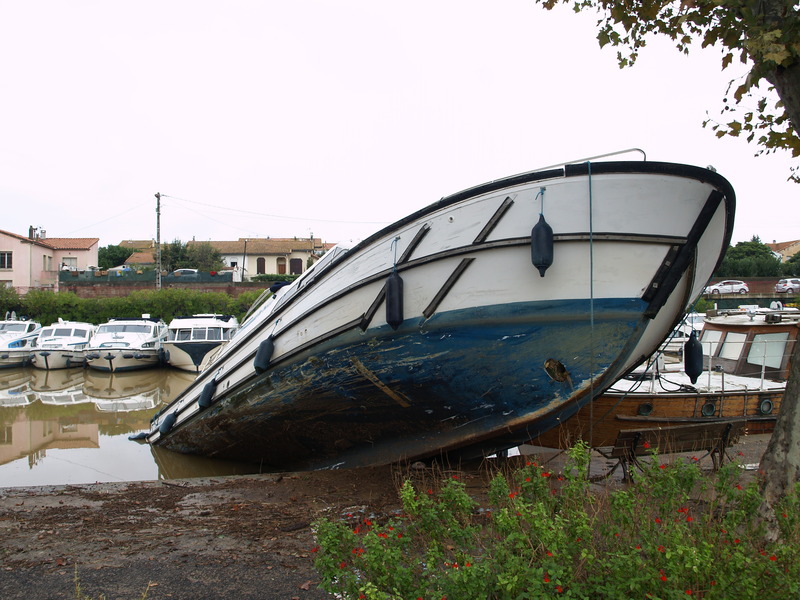 We cruised for over three hours, barely recognising the moorings at La Croisade and Argeliers where we had wild moored in the winter of 2011. 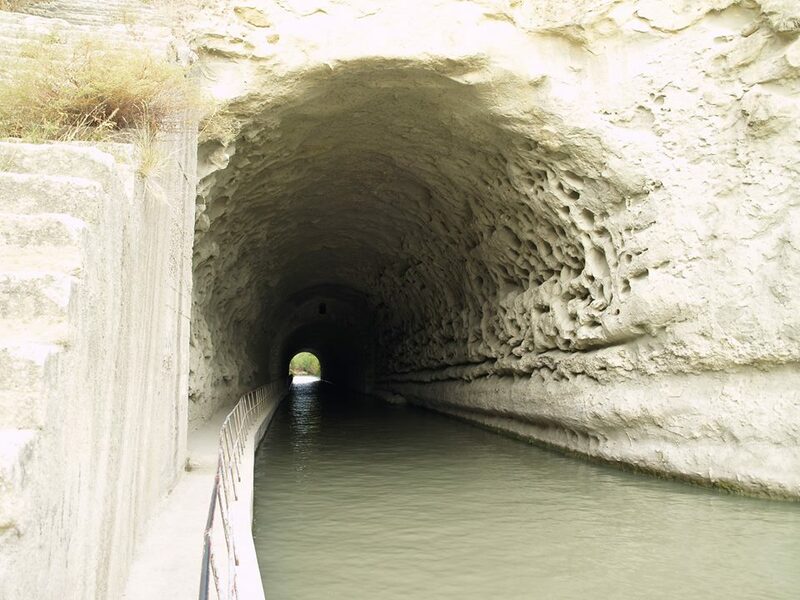 As ‘Anjodi turned left into the Canal de Jonction, we followed and stopped at the top as the bumper boats sped off like a cork out of a bottle! This spot provided us with a pretty mooring for three nights and we enjoyed a tasty pizza at the small restaurant there. Nice spot, fir trees not affected thankfully. 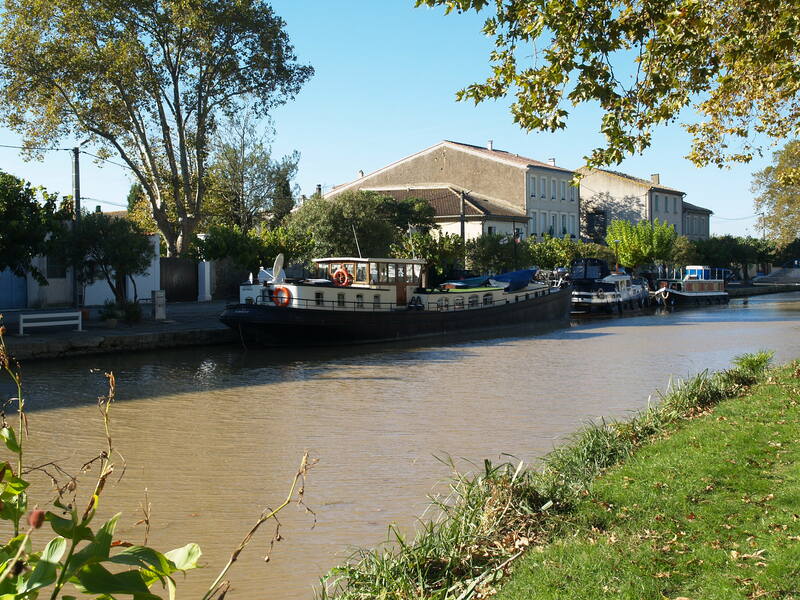 Facing the entrance to the Canal du la Robine, nice restaurant on the right. Sue and Allan drove over and we took our car up to Homps so it would be there for the next stage of our trip. On the way back we detoured via the interesting hill town of Minerve and spent a couple of hours there enjoying a nice lunch. 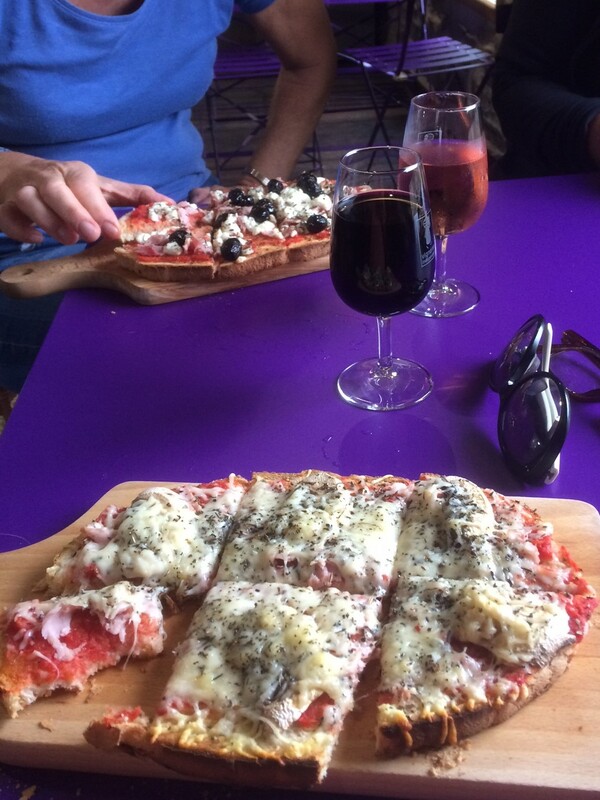 …and a very nice Minerve lunch in ‘The Chocolate Bar’. Having decided to stay, we walked along to Le Someil where we met up with Johan (‘Rust Roust’) who we met in 2011. Our decision to stay put turned out to be a good one, as the weather deteriorated further. On the Sunday we headed off once again for Homps. In increasingly windy conditions, we tried unsuccessfully to moor at Paraza, before finally stopping in a passenger boat mooring which doubles as a Halte de Plaisance at Roubia. How does that work? That night there was a huge storm, it rained very hard and the wind increased. 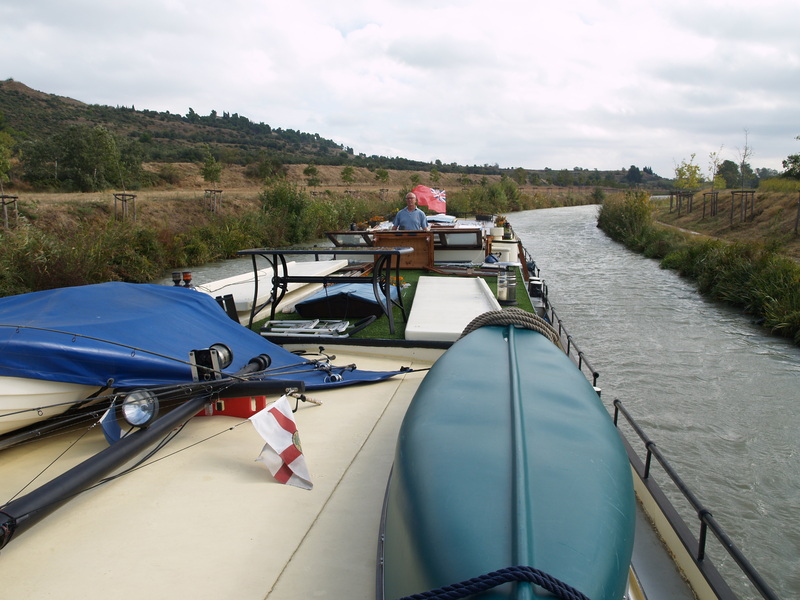 The next morning the sun eventually broke through and we carried on, but only made it to the lock at Argens. 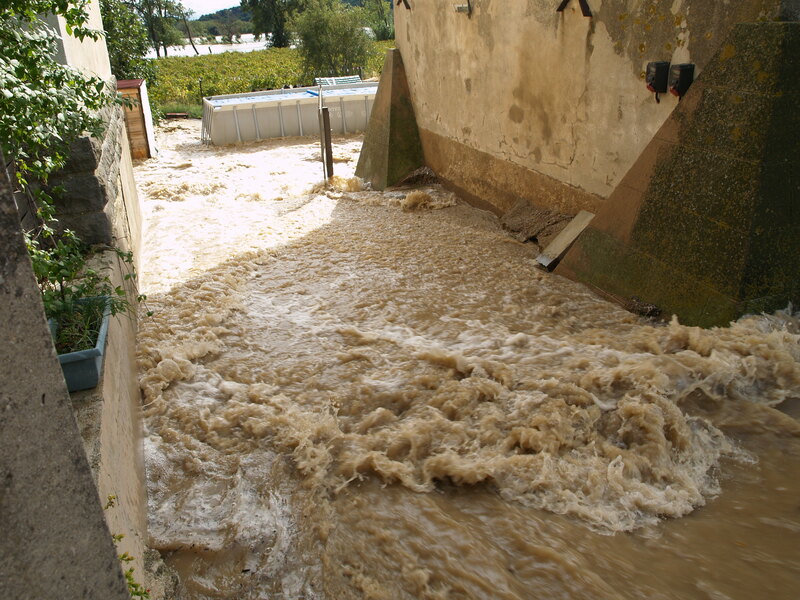 Two months worth of rain had fallen in just a few hours and the river Aude was in flood alongside us. 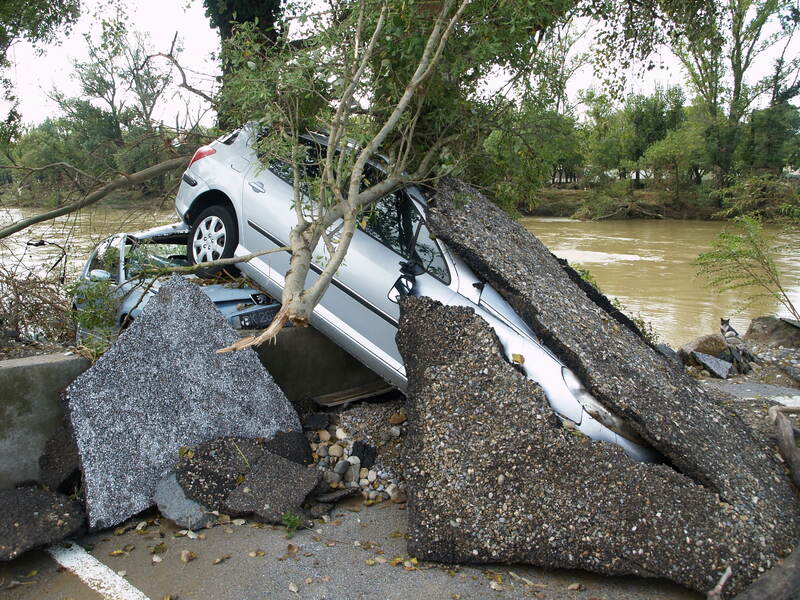 On the news, Peter had heard that just a bit further up in Trebes and Carcassone there had been a massive flash flood and up to thirteen people killed. 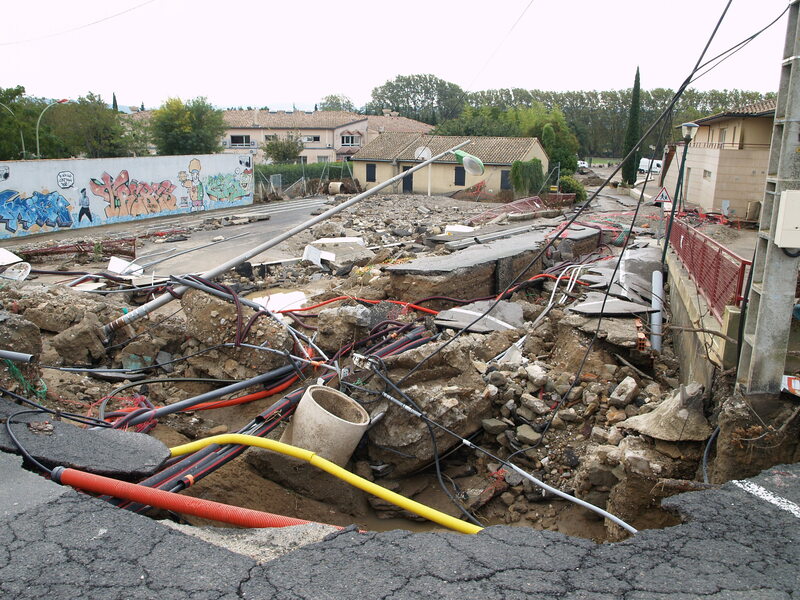 The Aude had in fact risen by 6 to 8 metres. The fields to our left were inundated and after a short while water gushed over the lock and down the towpath. We estimated the canal level had risen by four feet and was now a torrent as the lock keeper stood looking helplessly on. 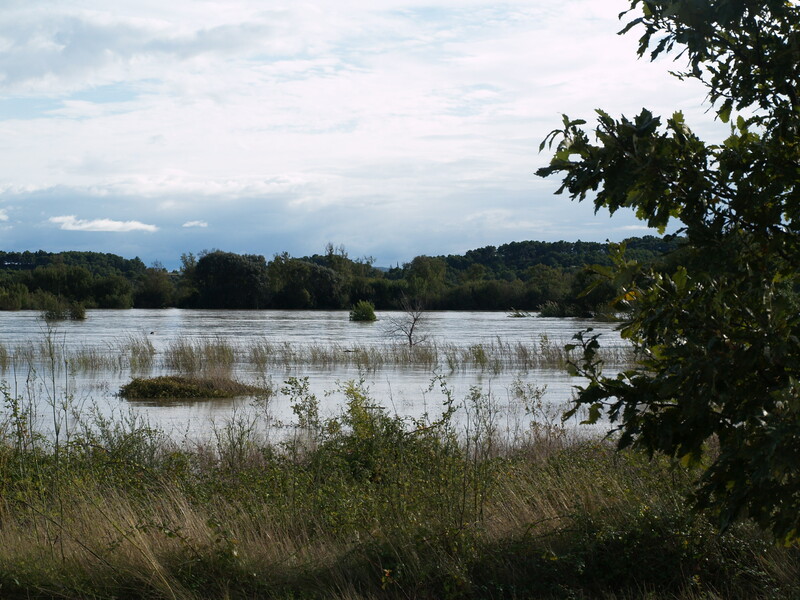 The fields alongside us as the River Aude bursts its banks beyond the treeline. Nicci returns to the barge with wine and eggs from the lock keeper. We had figured we may be stuck a while. Water bypassing the lock and we rise by about four feet. The lock becomes a waterfall. 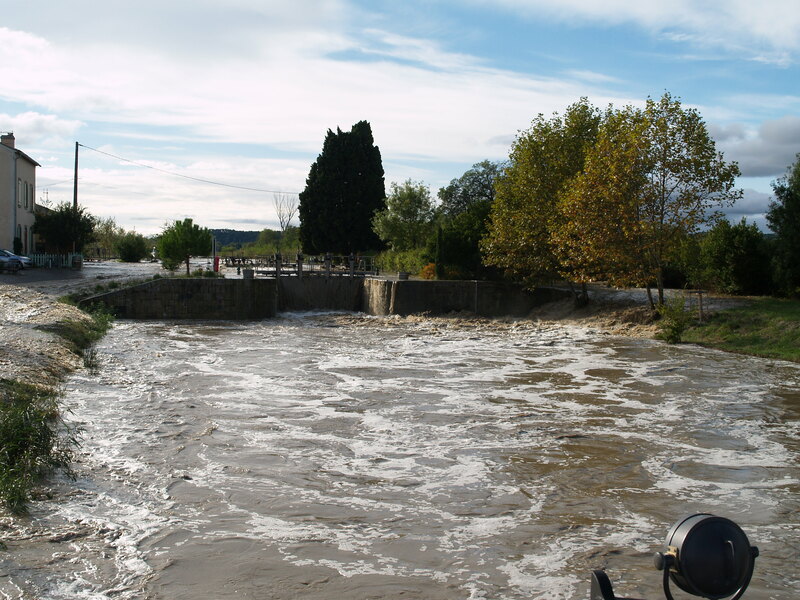 The surge of water joins the Aude via the lock garden. 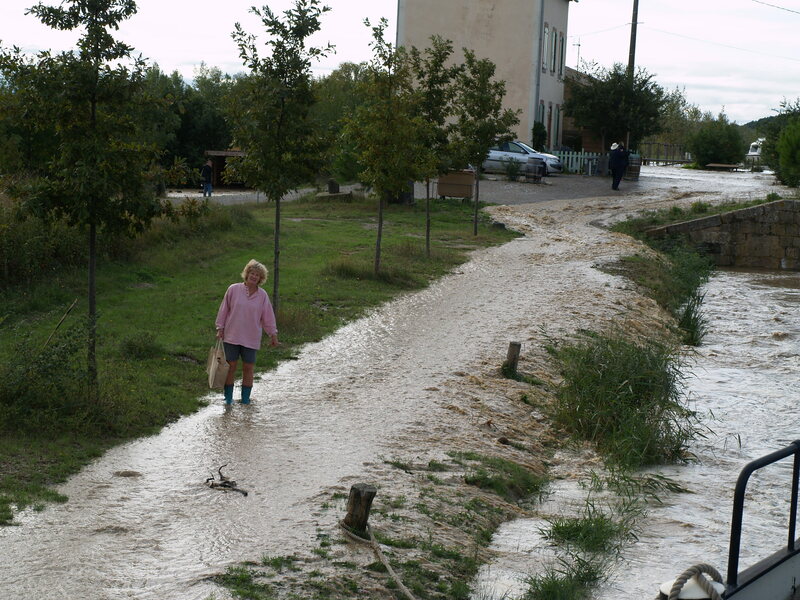 We had been very lucky not to get caught up in the flood in Trebes. 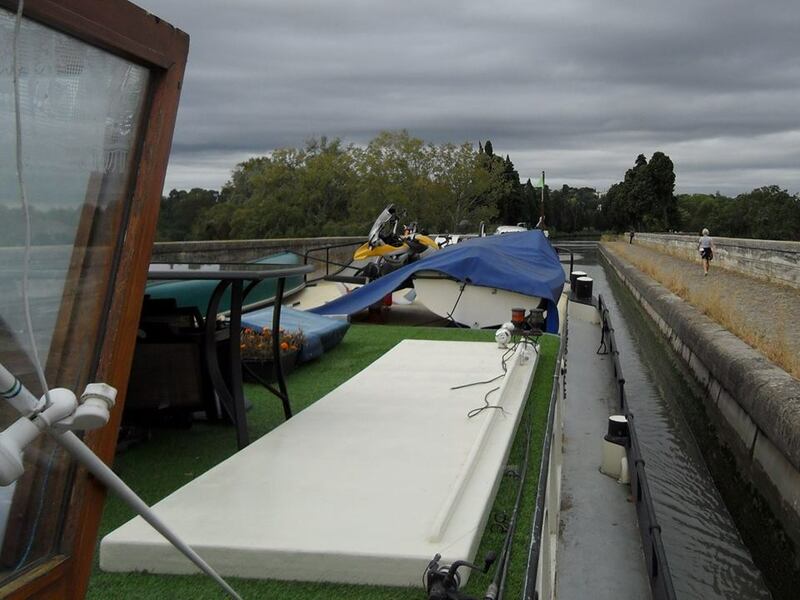 Sadly Geoff (‘Mededinger’) who had passed us a couple of days earlier was not so lucky and had a very narrow escape below the triple lock at Trebes. 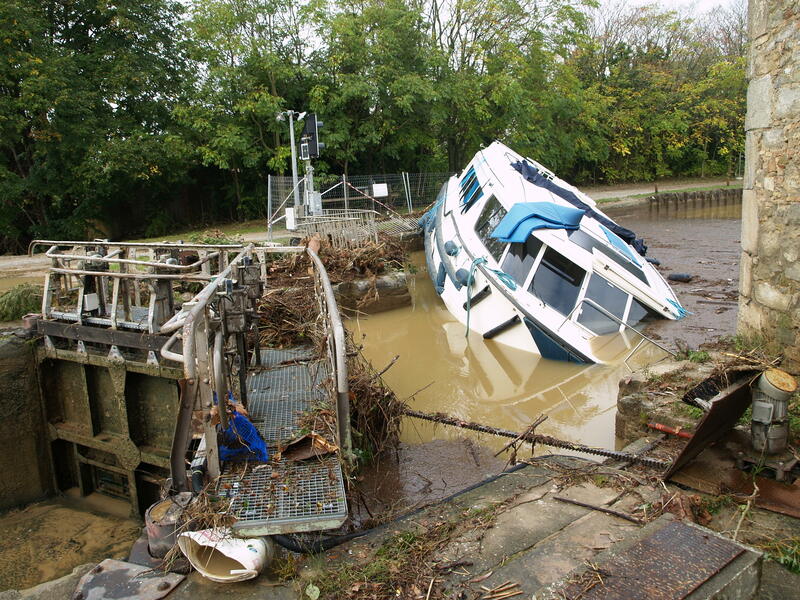 During the crisis, his barge was swept up onto the towpath and then back into the canal. Just a stern rope on a mooring pin held the stern on the left of the canal while Geoff held onto some branches on the opposite bank. He held it there in the pitch dark for an hour and a half while trees fell around him. Thankfully, he was rescued by a local man who bravely managed to get a bow line around a tree. The same man then rescued a family from a heavily listing hire boat and took them all home for the night. 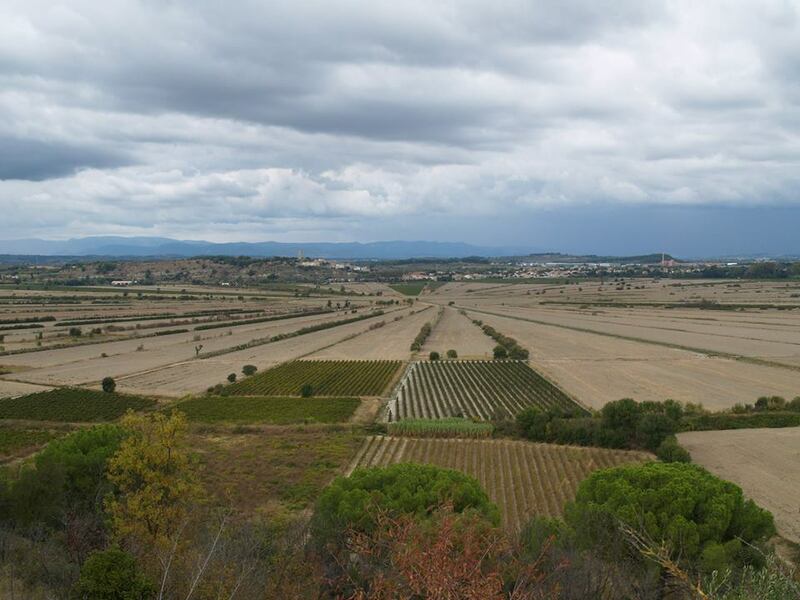 At Argens, we were amazed that the water levels dropped in less than twelve hours and the nearby fields became visible once more. As the lock keeper surveyed the damage to his garden, garage and swimming pool we were pleased to find our car safe and sound at Homps after a kind VNF chap dropped us there in his van. 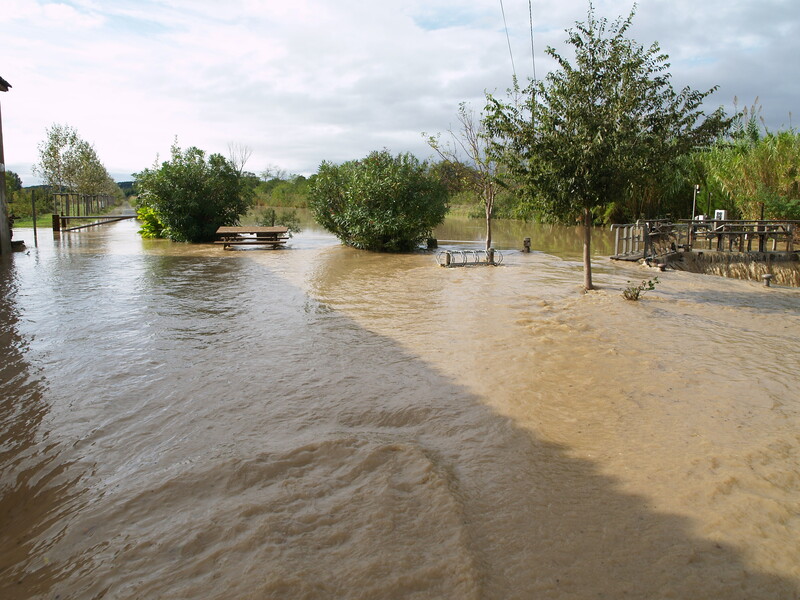 Many roads had closed as the water flooded and low lying towns caught between the river and canal suffered badly. Just 12 hours later the river is back behind the trees in the distance. After speaking with Geoff on the phone the terrifying extent of the flash flooding became clearer. 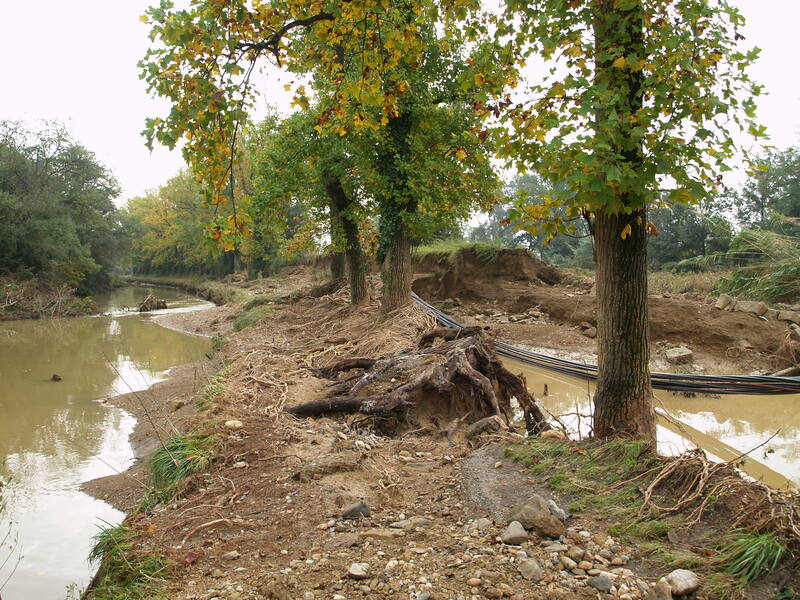 We visited him soon after and we were able to witness for ourselves the devastation to the canal and town of Trebes. 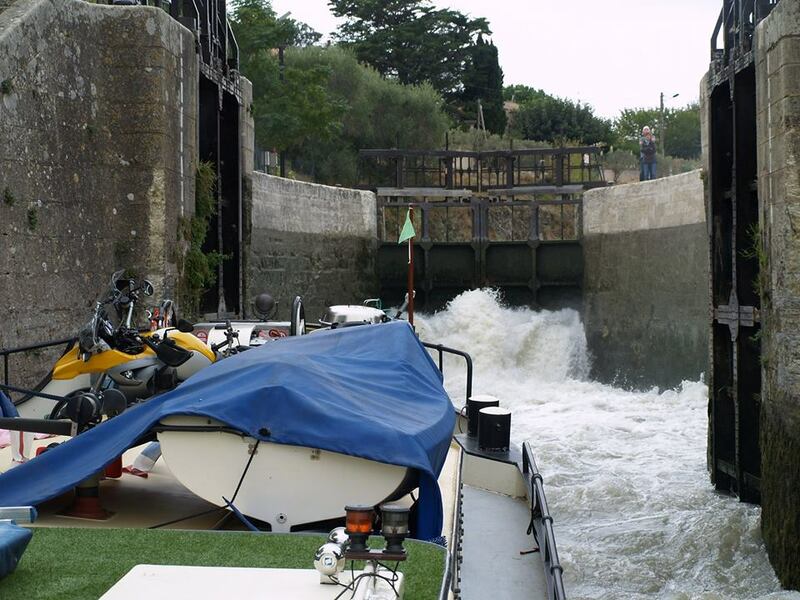 The locks at Trebes became a huge waterfall with Mededinger at the bottom. Nine people died in the houses below here. Mededinger which had been moored below the locks on the left, now with her stern stuck on top of a fallen tree. 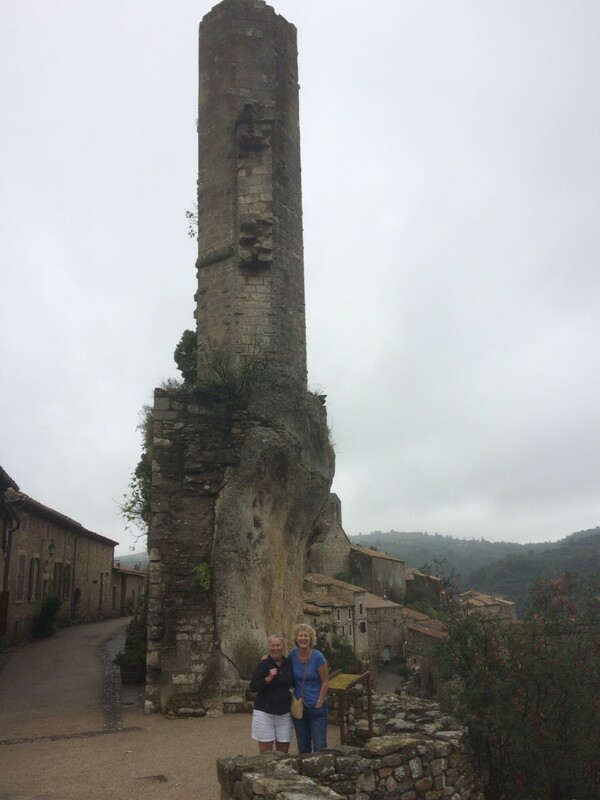 ‘Whisper’ had reached Ventenac en Minervois behind us. 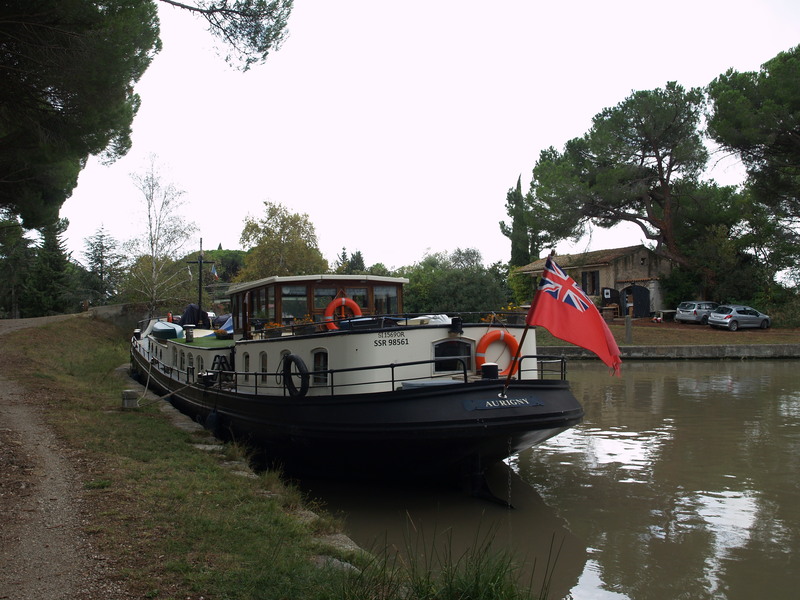 We both now needed to find a secure winter mooring, as we would not make it through to Castelnaudary due to the damage to the locks and breaches in the canal, one of which we had seen at Trebes about 70m from where ‘Mededinger’ ended up! Geoff had certainly had a lucky escape. Just 70 metres down from the barge the river had also burst through into the canal, sending a huge torrent of water which overwhelmed all the locks and two other towns before reaching us at Argens. We were able to take them back to Capestang to collect their car and visit Geoff again to see if we could help in any way. 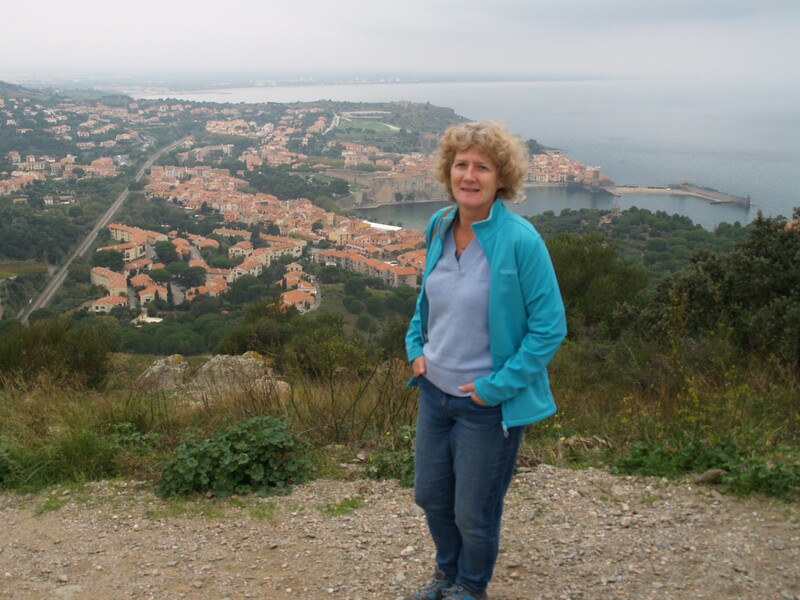 We enjoyed a nice lunch in Homps after chatting to the Capitaine, Mauricette and explaining our predicament. We were promised a mooring subject to our being able to get there through two single and two double locks when that part of the canal reopened. 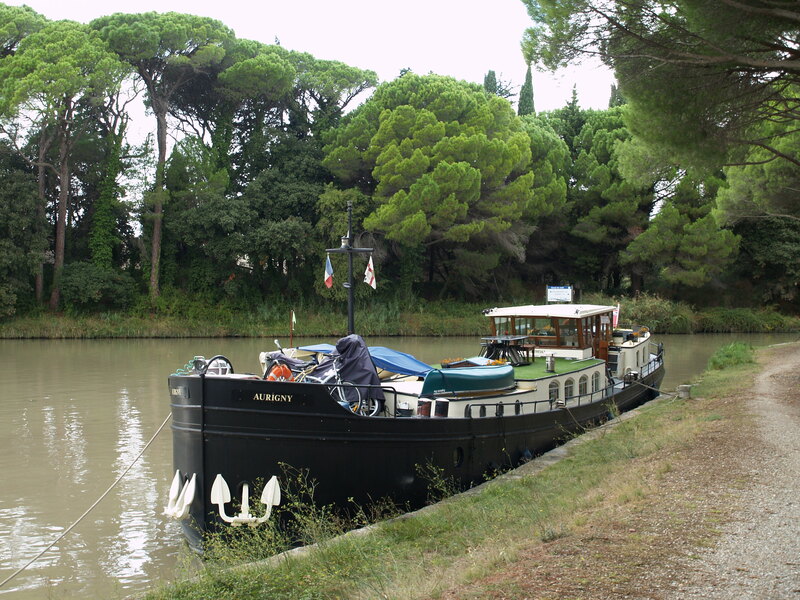 Meanwhile ‘Whisper’ found a spot back at Capestang and cruised back there for the winter. 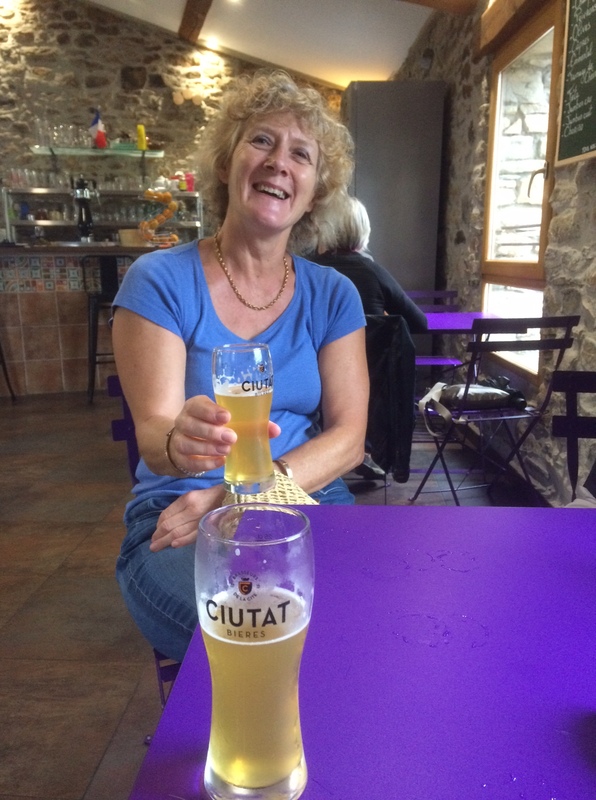 With things settling down, we enjoyed an early end of season Sunday lunch with Sue, Allan, Pol and Neil at ‘Le chat qui peche’ restaurant in Argeliers. 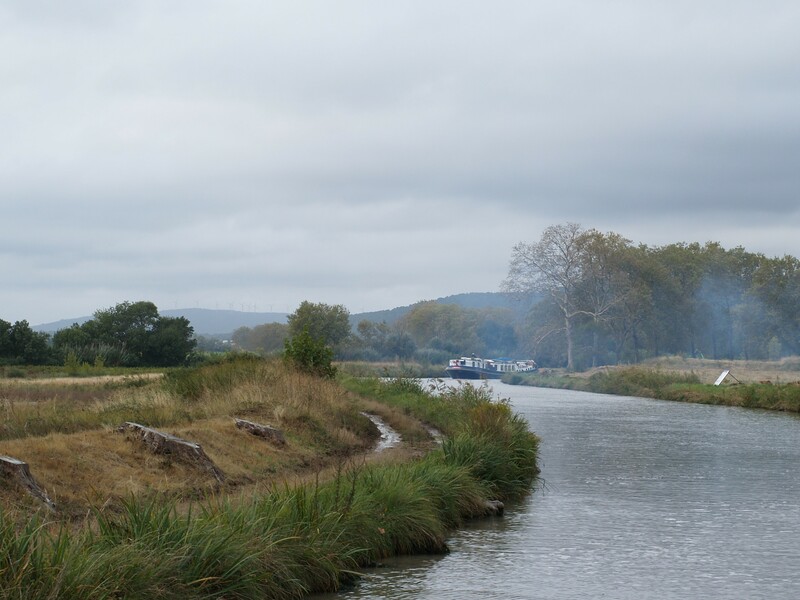 On Monday 22nd October, we finally made it through to Homps after a couple of delays owing to recalcitrant lock gates. Homps, us for the winter. 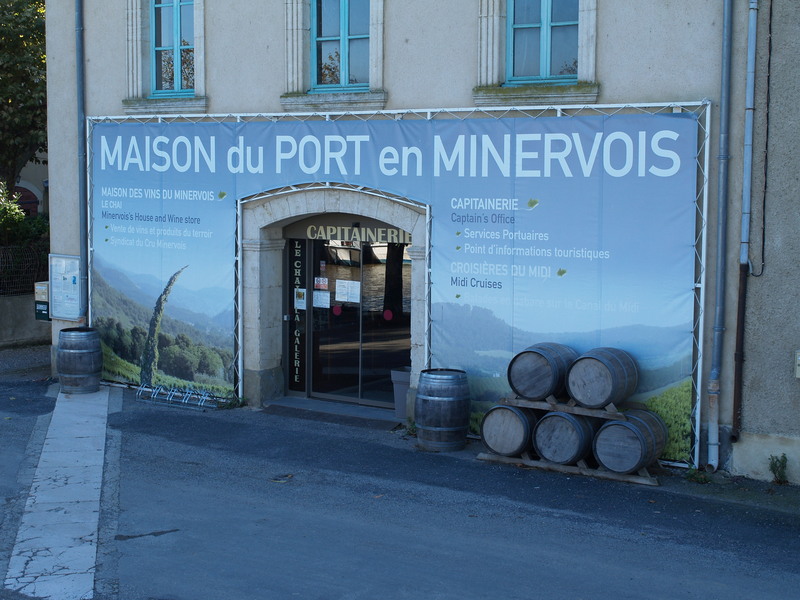 The Capitainerie, which also doubles as a wine store…perfect ! 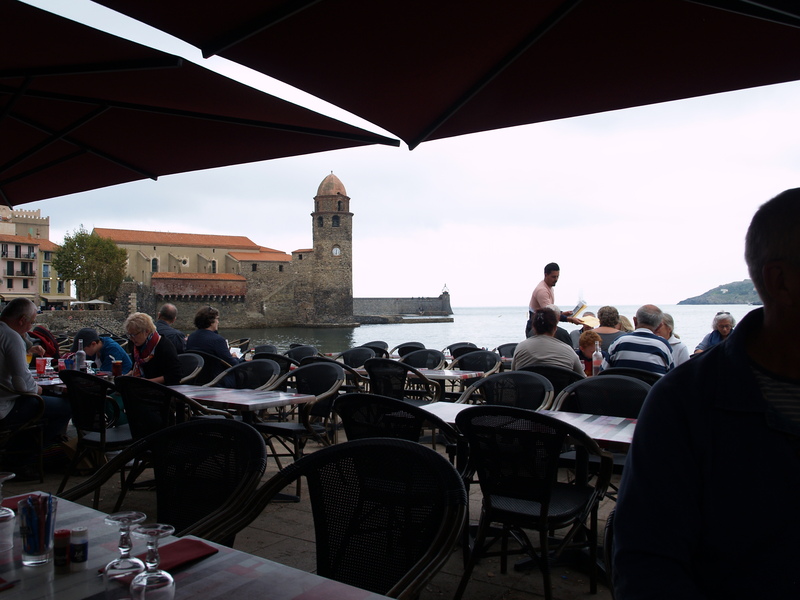 We enjoyed a night away in Collioure with Sue and Allan which sadly was cut short owing to the rainy and cold weather. However we did get to ride on the little train up into the vineyards and enjoyed a super lunch and evening meal in the pretty town, washed down with copious quantities of local wine. Lunch overlooking the Med. 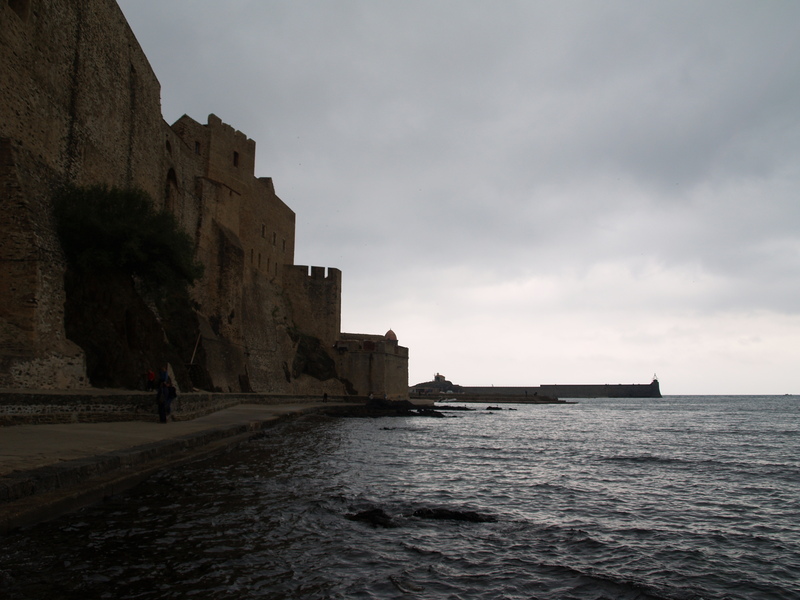 at Collioure, not far from Spain. Beautiful place, shame about the weather. It is nearly November though ! Looking back down after our bumpy tourist train ride. Not quite the end to our ninth season’s cruising that we had intended. However, we were safe and ‘Aurigny’ undamaged.